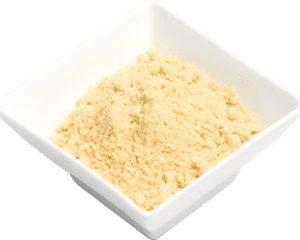 Onion powder is made from fresh onions which are gently roasted, chopped and dried. This handy mix saves those tears and is great to take camping where space and refrigeration are limited. The spice people carry these onion products ; onion flakes and onion powder. Use onion powder for instant flavour in dishes where the texture is not desired. Use 1 tablespoon dried to 1/2 fresh diced onion. Onions have many compounds responsible for their aroma and health benefits. The onion can help to increase bone density and has anti-inflammatory benefits.